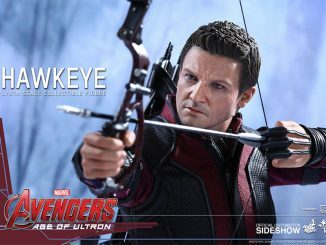 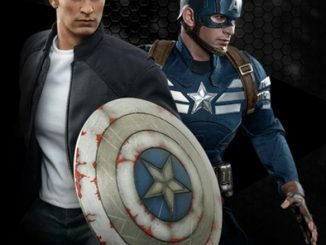 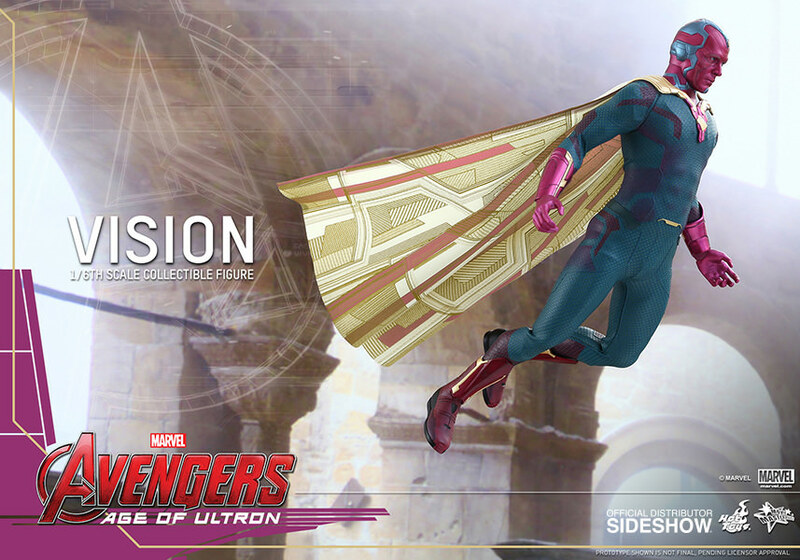 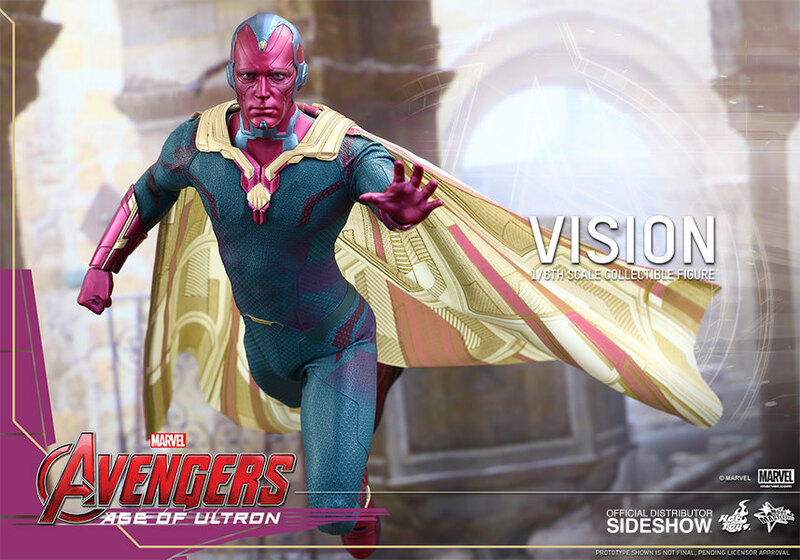 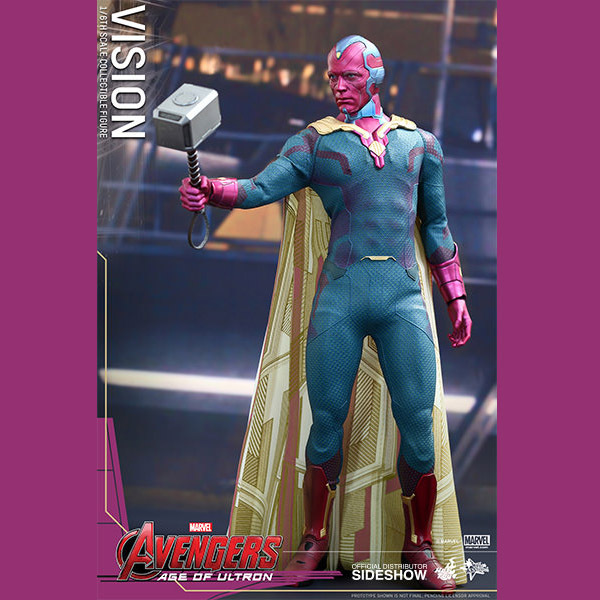 The newest member of the Marvel super-team joins the group with the Avengers Age of Ultron Vision Sixth-Scale Figure. 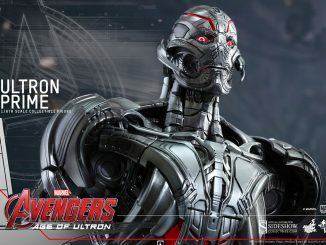 For those who haven’t seen Age of Ultron yet (what’s wrong with you? 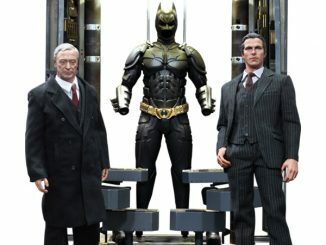 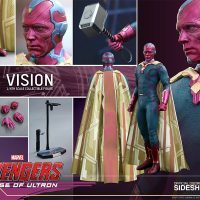 ), you need to be aware the following description contains a few spoilers from the movie so turn back now if you want to see the film with untainted eyes. 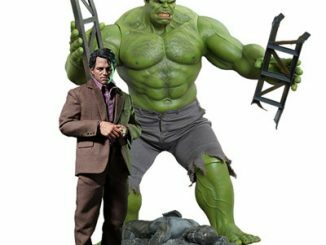 Don’t pull a Banner and Hulk out if you learn something you didn’t want to know. 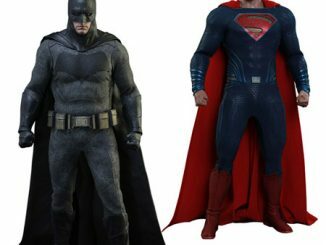 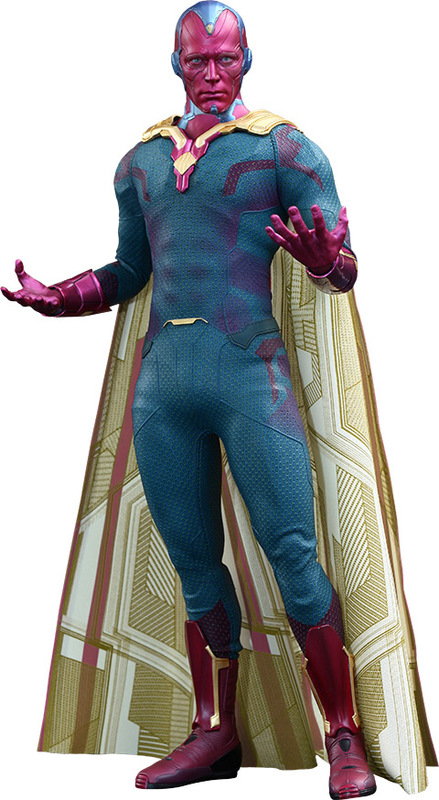 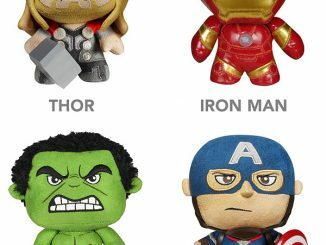 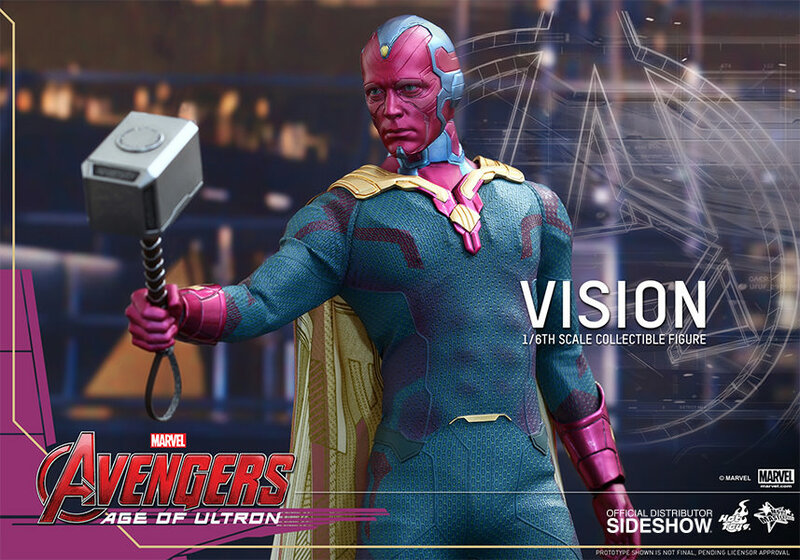 In addition to getting a 12.40-inch-tall android with Paul Bettany’s face, you also get the Vision’s very fashion-forward teal bodysuit, stylin’ cape, and Thor’s hammer, Mjölnir, which Vision is worthy of wielding. 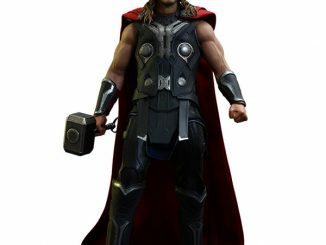 The thunder god’s still not happy about that. 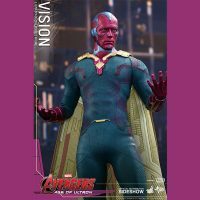 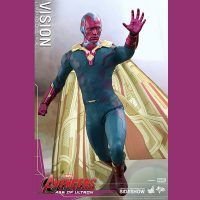 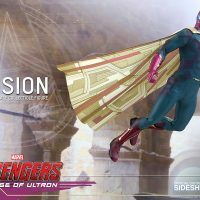 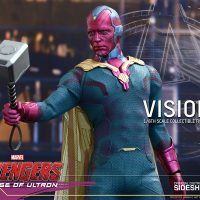 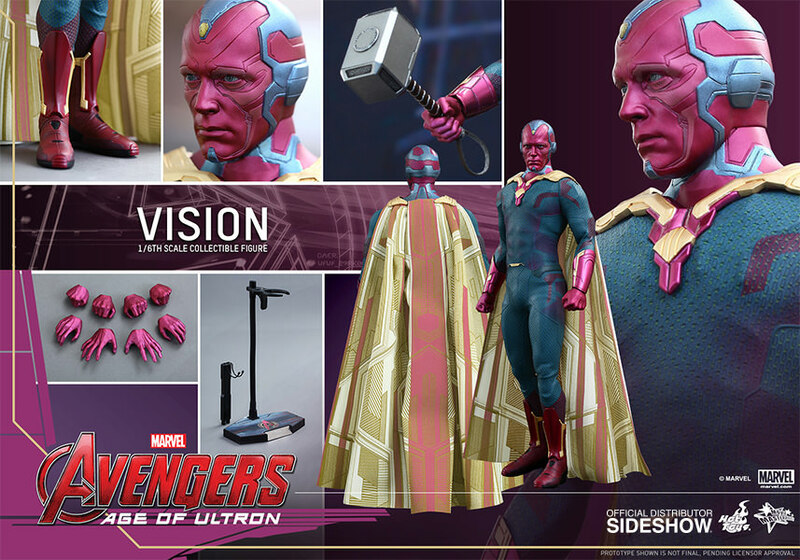 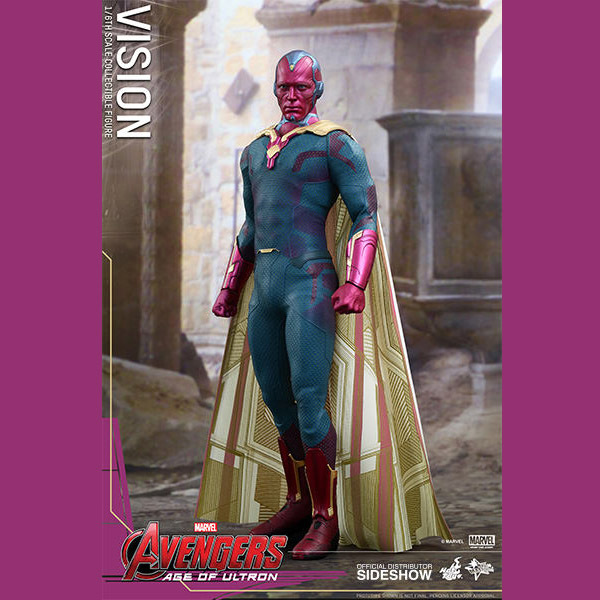 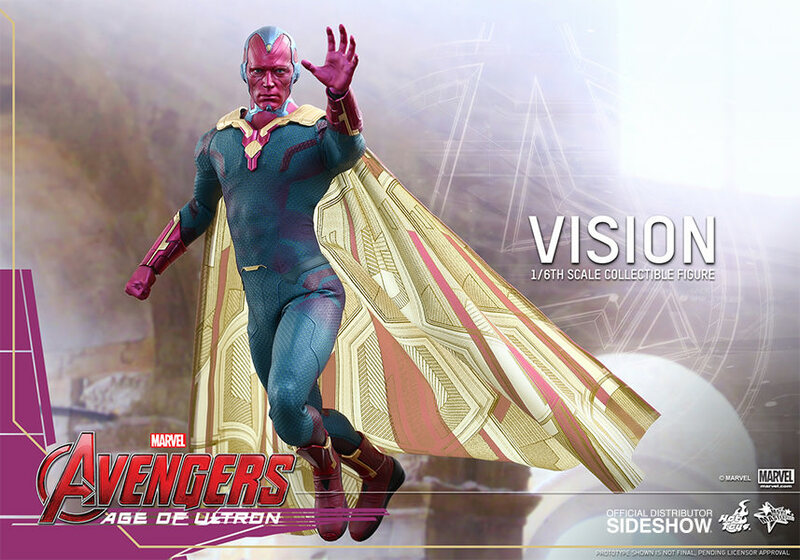 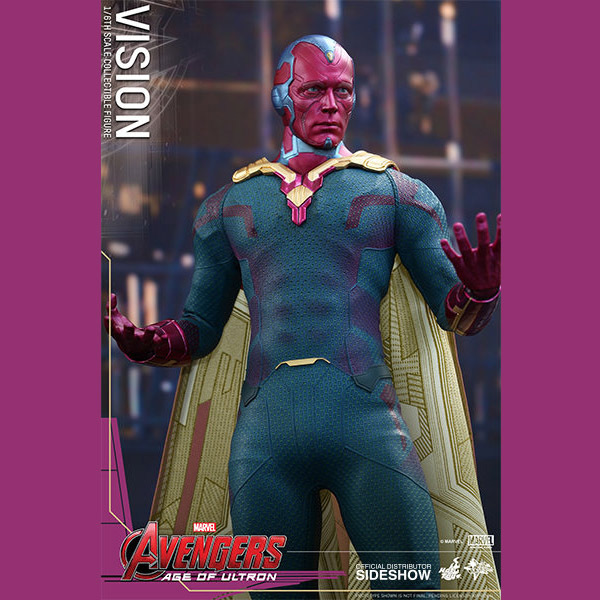 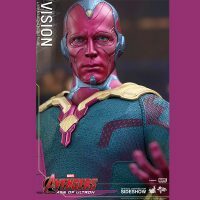 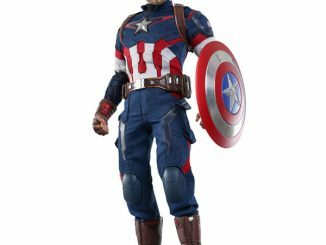 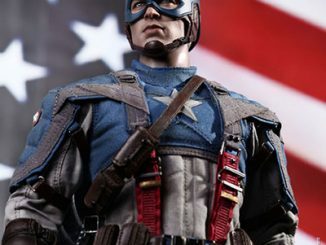 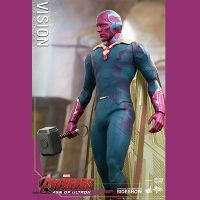 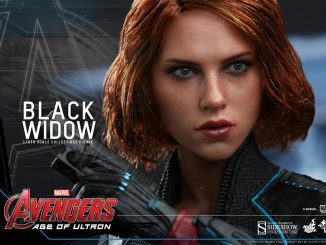 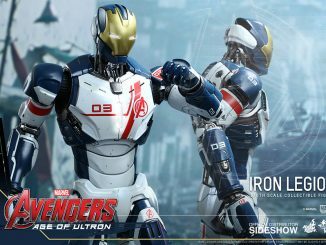 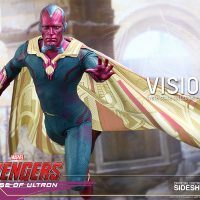 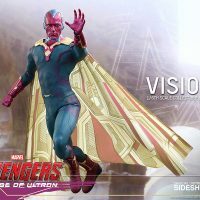 The Avengers Age of Ultron Vision Sixth-Scale Figure will be available Dec 2015 – Feb 2016 but it can be pre-ordered now for $219.99 at Sideshow Collectibles.